For those that celebrate it, have a Blessed Yule! We normally celebrate Yule with home baked goodies, gift opening, a light tour on our own around town, then setting up camp around the tree, leaving the lights of the tree on all night. We haven’t a fireplace, so no Yule log for us, sad to say. This year, though, the young manlets are at their father’s house, so our celebrations won’t happen until next weekend. Today the plan is to do a session of yoga this morning, then this evening, I’m going to have an easy run through the neighborhoods to check out everyone’s holiday lights! That gives me all day to get my mp3 player working again & some new songs downloaded to it. Probably it is a good thing I didn’t run yesterday, as my knees were twinging quite a bit last night. I’ve got to take it slow & easy as well as definitely listen to my body. In yesterday’s travels, I found a package of mesh bags (at the dollar store – one dollar for 4 bags, w00t!). Today I hope to get some laundry done & in the course of doing so, will be felting up the guys’ slippers. I’m looking forward to see how they turn out in the felting process! I’m not normally a big fan of felting, but I had the pattern & it really is a cute one. Just perfect for them, I think. Today I’ll be knitting on the Boyfriend Hat. I’m planning that one for Dad. 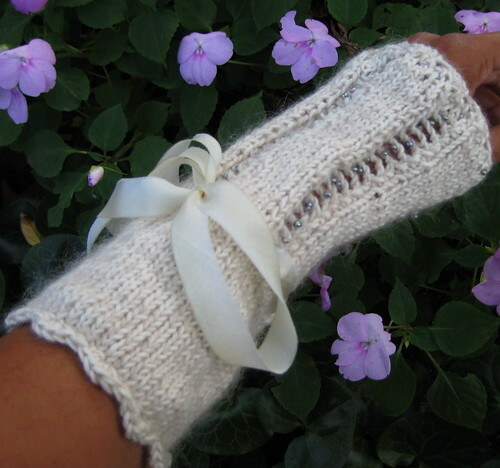 I’m thinking I might make fingerless gloves for the young manlets, though hats might be ok with them, too. Definitely socks for them, though. They will definitely wear any socks I make for them, they actually seem to prefer the socks I make over store bought ones. I just don’t know if I’m going to have time to finish everything! Such a pretty table runner! 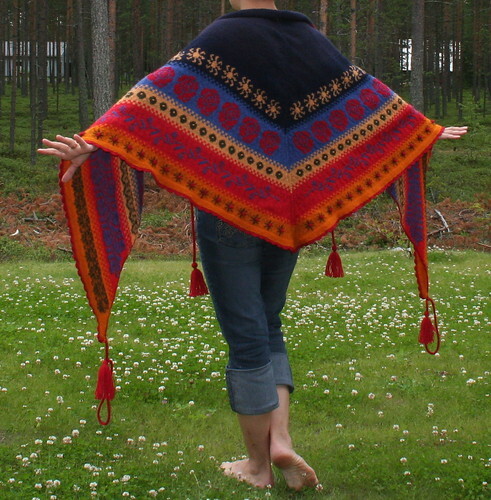 This lovely pattern can be found on Etsy! 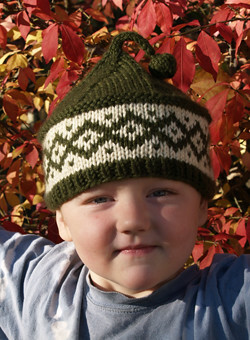 What an adorable hat & the pattern is free on Ravelry! Now, these would be a fun use for that glow in the dark yarn! 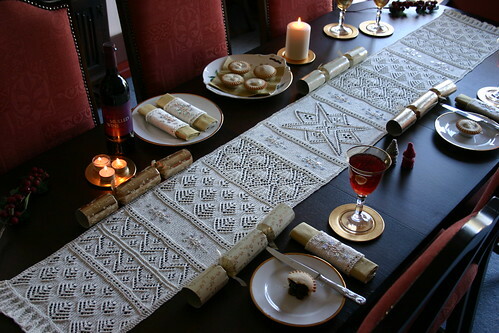 This one of my favorite patterns for Yule. 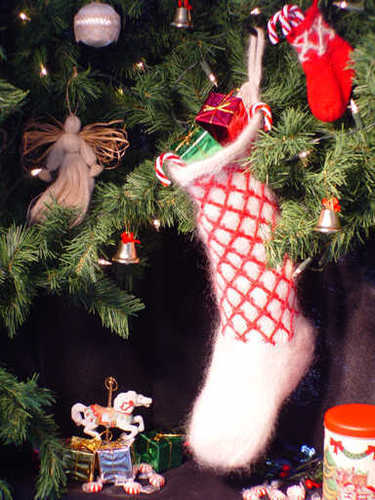 I don't have time to get it done this year - I must buy the pattern for next year at some point! 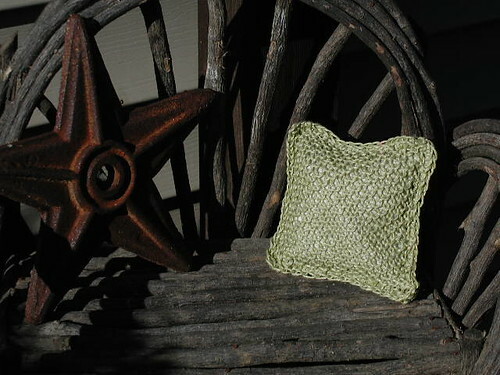 Balsam sachets - great use for leftover yarn & a nice little quick gift to make! Happy Sunday & a Blessed Yule, everyone! 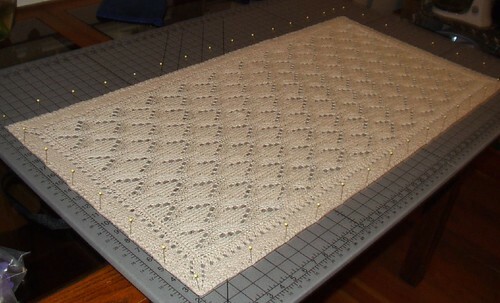 This entry was posted in Running and tagged Knitting, Running, Today's Ravelry Search. Bookmark the permalink.